View cart “Seascape II” has been added to your cart. Suzanna Sifter‘s passion for music is only rivaled by her feeling of necessity to fill the world with some form of goodness. In her life this takes the form of jazz piano composition and performance. Currently, Suzanna is also full Professor at the Berklee College of Music. Suzanna Sifter was born in Hinsdale, Illinois. She began her performing career in high school and sang, played keyboards and piano, touring the East coast and Canada with multi-genre bands. She holds a BM from Berklee College of Music and Master’s Degree from New England Conservatory having studied with Hal Crook, Herb Pomeroy, Dave Holland, Charlie Banacos, and Kenny Werner. Suzanna has performed with jazz greats John La Porta, Jerry Bergonzi, and Alan Dawson. Her compositions have been featured on “In the Library” (D. Govoni), and “On the Edge” (T.Lada) where she was featured on piano. Suzanna has three recordings as a leader, composer, and arranger: 1.Flowers for You (1997) 2.Awakening (2002) 3.The Illumination (2009). Suzanna has been on faculty at Berklee College of Music for twenty years, and is an internationally acclaimed jazz pianist and educator. She performed at the Heineken Jazz Festival in Puerto Rico, traveled to Italy for the Umbria Jazz Clinics, to Athens, Brazil, Ecuador, and Japan to give master classes and perform concerts. She is the author of the instructional text: Triadic Concepts: Vol. 1 : Comping with Upper Structure Triads Applications. 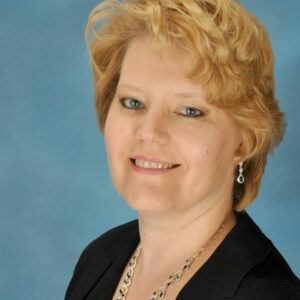 Suzanna was promoted to full Professor at Berklee in 2009. Love, love, LOVE the CD! I am listening to it over and over and over again. Your compositions are always so optimistic and full if light to me! Fluid, lyrical, sophisticated & satiable, Suzanna Sifter's, "The IIlumination" is a delicious CD of impeccable musicianship. Indulge & enjoy. Suzanna is not just a pianist with sparkling technique, but a composer with real originality! 'Dark Eyes' is a haunting example! 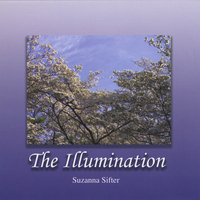 'The Illumination' by Suzanna Sifter is a wonderful recording which amply displays Suzanna's gifts as an improviser and leader.